Fort Lee, NJ - A list of unindicted co-conspirators should be made public in the case of two former allies of Republican Gov. Chris Christie charged in the George Washington Bridge lane-closing scandal, a judge ruled Tuesday. U.S. District Judge Susan Wigenton said it’s in the public’s interest for the government to disclose the list, which has not yet been made public. The ruling came after a lawsuit filed by media organizations, including The Associated Press. “This has been a matter of tremendous interest to the residents of New Jersey and countless others who rely on the George Washington Bridge. We are thrilled by the court’s decision to unseal the list of unindicted co-conspirators,” said Paul Colford, AP vice president and director of media relations. Bruce Rosen, an attorney for the media group, says he filed a letter Tuesday with the judge asking her to immediately release the list. A message with U.S. Attorney Paul Fishman’s office was not immediately returned. The government opposed the list’s release arguing that the uncharged third parties would not have a chance to vindicate themselves at trial and that their privacy outweighed the public’s right to know their identities. The Port Authority of New York and New Jersey also opposed the disclosure. Wigenton rejected arguments that the privacy of those on the list was at risk. She also wrote that cases involving allegations of violations of the public’s trust increase the people’s need to monitor proceedings. “Although privacy for third-parties is indeed important, this Court is satisfied that the privacy interests of uncharged third parties are insufficiently compelling to outweigh the public’s right of access,” Wigenton said. Christie’s former deputy chief of staff Bridget Kelly and former Port Authority of New York and New Jersey official Bill Baroni were indicted last spring on wire fraud and civil rights deprivation charges. 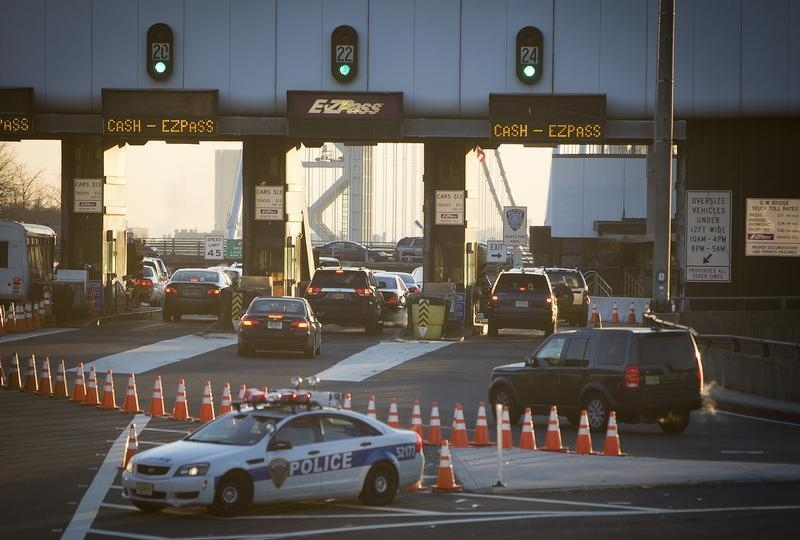 They’re accused of creating traffic jams near the George Washington Bridge, which connects Fort Lee and New York City and is one of the busiest in the world, in September 2013 to punish a Democratic mayor for not endorsing Christie. The lane closures caused four days of massive traffic jams. The two have pleaded not guilty in the case. Former Port Authority official David Wildstein pleaded guilty last year and is expected to testify against Kelly and Baroni. Christie hasn’t been charged and has denied knowledge of the scheme. A taxpayer-funded report he commissioned also absolved him of wrongdoing. This is outrageous. The entire idea of "unindicted co-conspirators" is unjust. This is a way to smear a person's reputation without having to go to the trouble of having sufficient evidence to take them to trial.